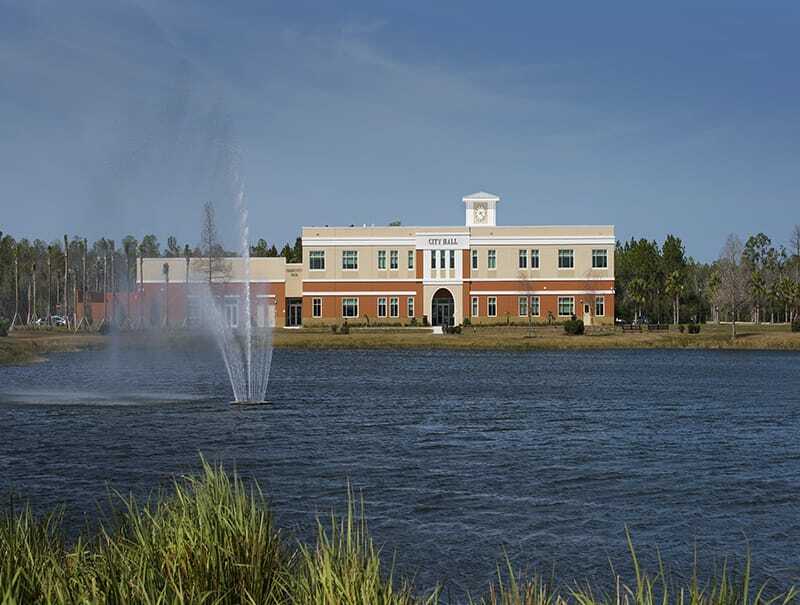 Gilbane brings true value through preconstruction services for the New City Hall in Palm Coast, Florida. 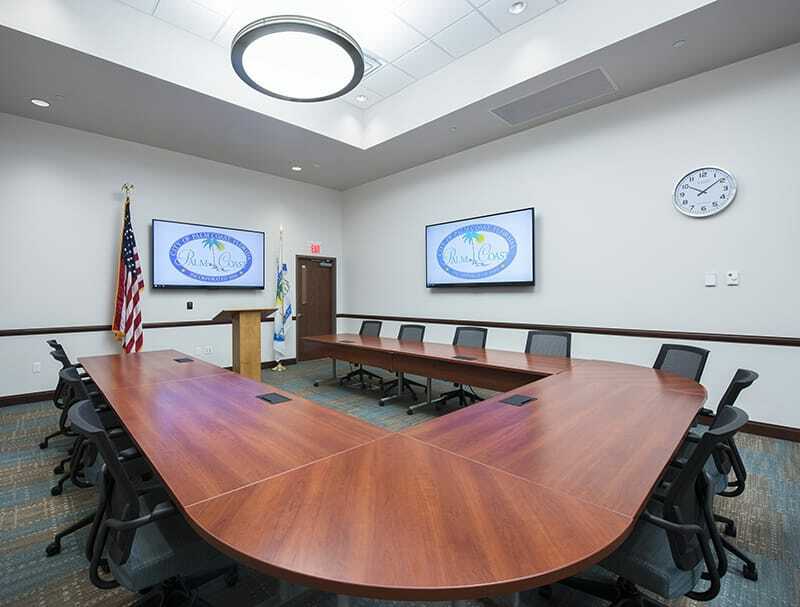 Gilbane has provided construction management services for the new 32,000-square-foot, two-story City Hall building located in Palm Coast Central Park area. 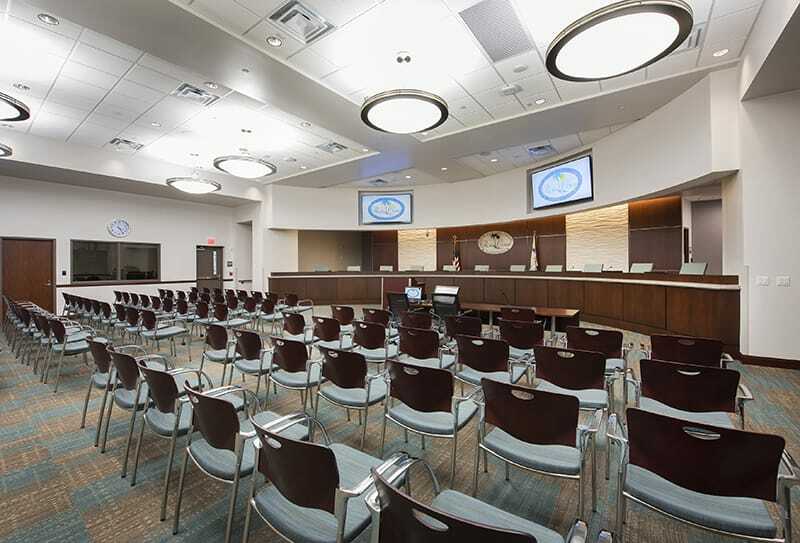 The New City Hall houses the offices of the city manager, building/planning department, code enforcement, engineering, IT, customer service, human resources, financing and accounting. Site work included surface parking for city employees and visitors, underground utilities and landscaping. The building structure is comprised of tilt-up concrete walls that allow fast tracking of the schedule and structural steel framing, joists and metal deck, TPO roofing and aluminum storefront windows and entrances. A prominent feature of the main entrance on the north elevation is a large clock tower that extends 20 feet above the building’s main roof. This project was initially conceived four years ago but was put on hold for nearly 3 years. During that time the owner’s budget for the project was reduced by 30 percent. 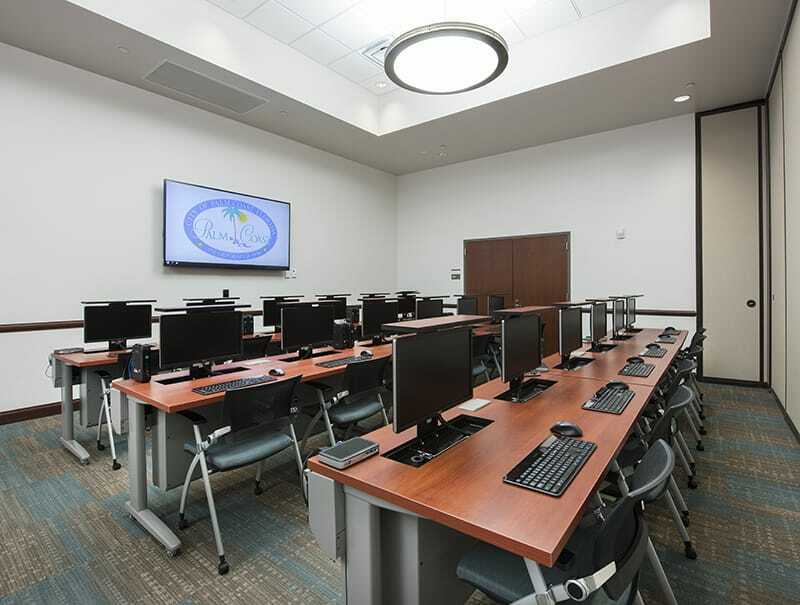 Gilbane worked closely with the architect and owner to develop a phased construction approach to allow the owner to prioritize and get essential programming to meet their needs within the current available funds and allow them a path to complete other phases as funding became available. Gilbane also created a bid strategy that included 15 Bid Alternates and 64 Value Engineering options to further assist the Owner in maximizing the scope to be included in the first phase of work. Due to the political nature of the project the Owner was very interested in maximizing local subcontractor participation. Gilbane conducted local subcontractor workshops and was able to achieve nearly 50 percent local and market area participation.